Despite the fact that the media gives Facebook grief about its Stories feature since it's launch, accusing the team of lacking creativity and cloning Snapchat and Instagram features, this feature has increasingly grown in popularity since launch. Facebook Stories are short photo and video collections that can be curated or created by users and is only visible for 24 hours. Content can be personalised further with up with stickers, text and geo-location to give it an extra little something. All-in-all, Stories are a fun fresh way to share content with your audience and every 24hours you can post a new story. Stories also take up primary real-estate on both Mobile and desktop apps. They are featured as a ticker-tape on the top of the home screen on the mobile app, similar to Instagram stories, and top right-hand corner of the desktop app. 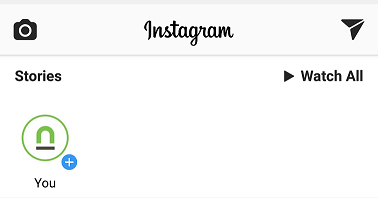 To view stories, users have to tap the circle of the featured story in the feed. Users can also reply and comment on these stories. How Can Facebook Stories help your business? 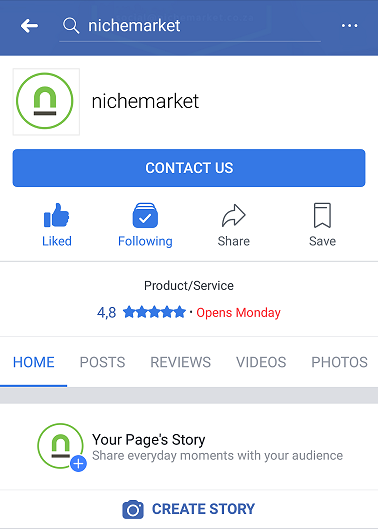 Initially, Facebook only launched the "Stories" feature to individuals and limited to Mobile Uploads, but now this features is open to pages and groups and can also be implemented via desktop. Because of their prime position, Stories generate a lot of traction with readers without having to boost posts or spending large sums of money on Facebook Ads. One downside is that Stories don't allow you to add links, so you cannot get an offsite action. But you can remind your audience about your Brand and get them to initiate engagement - which will, in turn, ramp up the visibility of future organic posts by your page; with these users. There are three ways to create Facebook Stories for your business or group pages, namely, via Desktop App, Mobile App or you could create them via Instagram and get stories up on both platforms simultaneously. We have detailed the Story creation process on each platform for your convenience below. All three methodologies are easy to use or implement. If you are already publishing stories for your business on Instagram, this is probably the easiest method for you to use. This was the also only way to post stories to Facebook Pages prior to them officially opening up this feature to Pages and Groups in October 2017. Your Instagram account is setup as a business. Connect Business Facebook Pages and Instagram Accounts. Ensure your Instagram stories settings are turned on to share on Facebook. Once the above is in place, just post your Instagram story as per normal. Just click on the Plus sign next to your profile in the stories feed and follow the prompts. You will be prompted to create a story as in the image below. Follow the prompts and publish. Select the Target Facebook Page to which this story should be published. If you are using a Facebook business manager, you will not be able to create stories via the camera and will have have to use one of the above methods. Currently, you can only view stories on the desktop. The ability to create and not publish them is not yet available. However, Facebook has been testing this feature this year, and viewing stories were not always available on the desktop. Keep your eyes peeled for the release of this feature. Now that you know how to create stories, select your platform of choice and start boosting the visibility of your business.